Kilpauk, Chennai-10. ..R1 to R3 in all the Writ Petns. Petitions under Article 226 of the Constitution of India for the relief as stated therein. Writ Petition Nos.26180, 26576, 26585 and 27056 of 2010 have been filed by the respective petitioners serving as Government Medical Officers in the State of Tamil Nadu, seeking for issuance of writs of mandamus to forbear the 3rd respondent-Director of Medical Education, Chennai-10, from conducting any counselling for appointment to the post of Associate Professors and Professors in the Tamil Nadu Medical Services in any discipline based on the Draft Seniority List sent along with the proceedings of the said respondent bearing Reference No.78809/E1/1/10, dated 07.10.2010, sent to all the Deans of Medical Colleges/Medical Superintendents and Director of Upgraded Institutes; and consequently direct the 3rd respondent to await the preparation of the final speciality seniority list comprising the panel of Assistant Professors for promotion to the posts of Associate Professors and Professors for the year 2010-11 and to complete the process of re-fitment of Professors in 1511 posts and Assistant Professors in 1420 posts till date in accordance with G.O. Ms. No.354, dated 23.10.2009, before conducting the aforesaid counselling. 2. Another Writ Petition in W.P. No.27217 of 2010 has been preferred with a prayer for issuance of a writ of mandamus, directing respondent Nos.2 and 3 viz., the Principal Secretary to the Government, Health and Family Welfare Department, Chennai-9, and the Director of Medical Education, Chennai-10, to complete forthwith the process of filling of the existing vacancies of Associate Professors and Professors in all specialities in various Government Medical Colleges in the State as initiated by the 3rd respondent as per his proceedings in Ref. No.78809/E1/1/10, dated 07.10.2010, in accordance with the Medical Council of India Regulations as well as G.O. Ms. No.354 (Health and Family Welfare Department B2), dated 23.10.2009. 3. To-day, on the cases being posted for filing counter, Mr.G.Sankaran, learned Special Government Pleader appearing for the respondents/State requested this Court for grant of further time enabling the respondents concerned to file counter-affidavit and, for such request, Mrs.Nalini Chidambaram, learned Senior Counsel appearing for the petitioners in the above referred four writ petitions, raised strong objections by stating that if the matters stand adjourned for filing counter, the prayer made would be rendered infructuous since counselling has begun now and it would get completed in the course of this week. So stating, learned Senior Counsel requested this Court to right away take up the matters for disposal. In view of the urgency said to have been involved, this Court, with the consent of all the parties, has taken up the cases and heard the respective counsels appearing on either side at length. The Writ Petitions, which are interrelated and revolving around G.O. Ms. No.354, dated 23.10.2009, are disposed of by this Common Order. 4. For better appreciation, the case of the petitioners is briefly outlined here-under. The petitioners, after completing their MBBS Course, appeared in the Examinations conducted by the Tamil Nadu Public Service Commission (TNPSC) and, on emerging successful, they were appointed to the posts of Assistant Surgeon in the Tamil Nadu Medical Services. At the time of appointment, the successful candidates in the TNPSC were provided with an entry point number known as Civil Medical List (in short 'CML' Number) based on the marks obtained by them in the TNPSC Examination and other reservations including communal reservation. Subsequently, on completing their PG (Post Graduation) courses in various specialities and super-specialities, the petitioners continued to serve as Assistant Surgeons at various Government Hospitals/Health Centres in the State of Tamil Nadu. After sometime, they were relieved by the Director of Medical Service and posted by the 3rd respondent as Assistant Professors in the respective specialities. As per the MCI (Medical Council of India) Regulations, an Assistant Professor is eligible for promotion to the post of Associate Professor on completion of 2 years of service as Assistant Professor in a recognized Medical College. In the present cases, 3 years of teaching experience was prescribed as the minimum experience for promotion to the post of Associate Professor for those who undertook the 2 year Higher/Super Speciality Course. The petitioners, having completed the said 2 year Super Speciality Course, gained sufficient teaching experience in the Higher/Super Speciality Medical Education. As per the norms prescribed by the first respondent/MCI, the petitioners were eligible to be promoted to the post of Associate Professor long back; but, due to lack of adequate promotional opportunities and stagnancy at various levels in the cadre system, the petitioners could not get their due promotions. Therefore, the Tamil Nadu Govt. Doctors Association (TNGDA) made a request to the 2nd respondent for providing the Government Doctors with Dynamic Assured Career Progression (DACP) since promotional opportunities for the Government Doctors in the Medical Education were deficient. After considering the request made by TNGDA, the 2nd respondent issued G.O. Ms. No.194, Health and Family Welfare Department, dated 07.07.2009, constituting a Committee headed by the Special Secretary to the Government, Finance Department, to look into the promotional opportunities of Government Doctors at various levels. The Committee, after studying the situation and possible modalities to create better promotional opportunities to the Government Doctors, submitted its recommendations vide letter dated 03.08.2009. After considering the recommendations contained in the said letter, the first respondent issued G.O. Ms. No.354, Health and Family Welfare (B2) Department, dated 23.10.2009, prescribing the guidelines for promotion and other service conditions to the Government Doctors. Complaining that the said G.O. has not been applied in their case in its letter and spirit, the petitioners in the aforementioned 4 writ petitions have approached this Court for the issuance of mandamus as stated above. 5. Arguing the case for the petitioners in the above said four writ petitions, Mrs.Nalini Chidambaram, learned Senior Counsel made her submissions in four segments. (a) The respondents are bound to follow the Seniority criteria as provided in G.O. Ms. No.354, dated 23.10.2009, for promotion to the posts of Associate Professor/Professor at the time of counselling for the year 2010. Instead of following the said Government Order, by proceedings dated 07.10.2010, addressed to the Deans of Medical Colleges/Medical Superintendents and Director of Upgraded Institutes, the 3rd respondent issued the Draft Seniority List of the Government Doctors in each speciality for the purpose of promotion to the post of Professors and Associate Professors, asking for the particulars of all the Medical Officers for preparation of the Final Seniority List. It is found in the list that seniority was determined based on the CML (Civil Medical List) Number assigned to the Medical Officers during entry into the service and not the Speciality Specific Seniority. According to the learned Senior Counsel, the guidelines contained in G.O. No.354 were grossly violated while preparing the Draft Seniority List by following the CML Number and unjustly ignoring the Speciality Specific Seniority. This has caused serious prejudice to the petitioners since the Government Doctors who are less experienced in the respective specific speciality will steal a march over the Doctors like the petitioners who are seniors to them. (b) Once the petitioners acquired Speciality Specific Seniority, such seniority alone should be taken as the criterion for promotion irrespective of the ranking given as per the CML Number. (c) While preparing the Seniority List of the petitioners, the respondents should have reconciled clauses-(iv) and (vii) of G.O. Ms. No.354 so as to avoid the adverse prospect of overlooking the Speciality Specific Seniority. (d) While considering a similar case in W.P. No.2775 of 2008, by orders dated 09.06.2010, this Court has categorically held that final seniority or date of promotion is the criteria for future promotion to the next higher cadre and not the CML Seniority. The said decision being applicable in all fours to the facts of the present case, since the 3rd respondent had ignored the said conclusion while preparing the Draft Seniority List of Assistant Professors, this Court may direct the authorities to follow the said order of this Court. Relying upon a decision of the Apex Court in Challa Jaya Bhaskar vs. Thungathurthi Surendar (Manu/SC/0870/2010) to substantiate her plea that the procedure adopted in the present case is unjust, learned Senior Counsel ultimately pleaded this Court to issue suitable directions for exclusive consideration of Speciality Specific Seniority in the case of the petitioners without reference to the CML Number assigned at the entry point into the service. 6. Per contra, learned Special Government Pleader appearing for the respondents/State, on instructions, would submit that the authorities scrupulously followed G.O. No.354, which provides that the Director of Medical Education Unit's Seniority list will be of two categories viz., (a) General seniority for all those Doctors with MBBS and Diploma Degree and (b) Specialist Seniority ie., Speciality-wise seniority for those with Master Degree and or Super Speciality Degree. Further, both the general seniority and speciality seniority will be based on their seniority in the CML. It is stressed that, after getting the seniority in their speciality, their future promotions would be based on the speciality specific seniority and they would not have further lien on their seniority in Civil Medical List for the purpose of promotion. However, seniority in Civil Medical List would be relevant only for the limited purpose of fixing inter-se seniority relating to those who joined their speciality in the Director of Medical Education Side. Thus, CML Seniority would be relevant only to fix the seniority in the Speciality Specific Seniority. It is further submitted that when a person joins any speciality under the Directorate of Medical Education, his iner-se seniority in the speciality would depend on the person's seniority in the CML, because, CML would continue to be the criteria to decide the speciality specific seniority till the Associate Professor Level. The counselling scheduled is for selecting the persons for the post of Associate Professors and, in line with the guidelines issued in the G.O., seniority ranking allotted by the respondents as per CML will have to be taken into account to decide the Speciality Specific Seniority. As there is no specific rule to ignore the seniority obtained by the petitioners in the CML, the contention advanced by the learned Senior Counsel for the petitioners to ignore the ranking assigned as per the CML and to independently consider the Speciality Specific Seniority cannot be appreciated. Referring to the order passed by this Court in W.P. No.2775 of 2008, it is submitted that the issue decided by this Court in that case was in respect of promotion to the post of Director and Superintendent, which is above the grade of Associate Professor and, in such a case, it was held that seniority in the Feeder category should be taken into account without considering the seniority mentioned in the CML. Thus, the said decision could be made applicable to those cases relating to promotion to the post equivalent to Professor and not for other persons as that of the petitioners, who are aspiring for promotion to the post of Associate Professors. Referring to the Annexure to the Letter of the 2nd respondent, dated 31.01.2011, learned Special Government Pleader states that the special seniority has already been assigned to the Medical Teachers working in the Directorate of Medical Education Side and other Directorates; thus, the petitioners are not justified in alleging that G.O. Ms. No.354 is not complied with in the present case. With regard to the submissions made by the learned Senior Counsel for the petitioners citing the decision of the Apex court in Challa Jaya Bhaskar's case (referred supra), it is submitted that the ratio decided therein is completely on a different issue as it was held in that case that those belonging to non-teaching line could not be appointed till they acquire the PG degree. Since that issue is not the subject matter of the present Writ Petitions, the ratio sought to be applied by the learned Senior Counsel for the petitioners will not be relevant to the case on hand. Ultimately, it is submitted that the respondents have scrupulously adhered to the guidelines of the G.O. in its letter and spirit and such aspect is reflected in the letter of the 2nd respondent and under such circumstances, there being no scope for interference at all, the prayer of the petitioners should be summarily rejected. 7. In support of the stand taken by the learned Special Government Pleader, Mr.Gadson Swaminath, learned counsel appearing for the petitioners in W.P. No.27217 of 2010 and Mr.C.Kanagaraj, learned counsel appearing for R-4 to R-18 in W.P. No.26180 of 2010, would submit that the aforesaid 4 writ petitions are totally misconceived in view of the fact that the norms of the counselling are in total compliance with the guidelines issued by way of G.O. No.354 and under such circumstances, if the counselling is stalled, great prejudice would be caused to all the aspirants in general. 8. I have given my thoughtful consideration to the rival submissions advanced on either side. 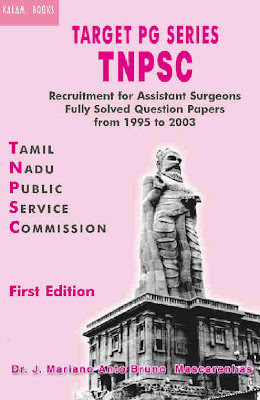 It is seen that the petitioners, after completing their MBBS Course, were appointed through the TNPSC to the post of Assistant Surgeon in various disciplines of the Tamil Nadu Medical Services and, at the time of their entry into service, CML ranking was assigned to the respective candidates based on the marks secured by them in the Examinations held by the TNPSC. After joining service, they also completed their respective P.G. Courses and subsequently, on pursuing the Higher/Super Speciality Education in various disciplines, they continued for sometime as Assistant Surgeons at various Hospitals in the State of Tamil Nadu and later on, they were posted as Assistant Professors in different Medical Colleges in the State. Since the promotional avenues from the cadre of Assistant Professor were not bright due to lack of promotional opportunities and stagnancy in the cadre system, the TNGDA made a representation to the 2nd respondent, who, after due consideration of the grievance, passed G.O.Ms. No.194, dated 07.07.2009, constituting a committee go into the issue, whereupon, the Committee submitted is recommendation vide letter dated 03.08.2008, based on which, G.O. Ms. No.354, dated 23.10.2009, came to be passed containing necessary guidelines governing promotion. (i) The Medical Officers working in the Medical College Hospitals, Institutions and dispensaries under the control of Directorate of Medical Education shall come under the Director of Medical Education Unit. (ii) The Director of Medical Education will maintain the seniority list of the doctors in this unit and will effect the promotions. (iii) The Director of Medical Education unit's seniority list will be of two categories (1) General seniority for all those doctors with MBBS and diploma degree. (2) Specialist seniority - Speciality wise seniority for those with master degree and or super speciality degree. (iv) Both the general seniority and speciality seniority will be based on their seniority in Civil Medical List. After getting the seniority in their speciality, their future promotions would be based on the speciality - specific seniority and they would not have further lien on their seniority in Civil Medical List for the purpose of promotion. However seniority in Civil Medical List would be relevant only for the limited purpose of fixing inter-se seniority relative to those joining their speciality in the Director of Medical Education side. No equivalent promotion can be claimed by any specialist based on inter-se Civil Medical List seniority on account of doctors in some other speciality. Civil Medical List seniority would after that be relevant only to fix the seniority in the speciality specific seniority list, and after that, it is that seniority list which would operate as illustrated in the annexure to this order. (v) For higher level posts and posts in common pool, the Civil Medical List seniority will be the basis for promotion. (vi) Entry into Director of Medical Education side against particular vacancy in any speciality should strictly be on the basis of Civil Medical List seniority, provided the person is eligible otherwise. (vii) Once a person joins any speciality under Director of Medical Education, his inter-se seniority in the speciality would depend on the person's seniority in the Civil Medical List. The Civil Medical List would continue to decide the speciality specific seniority, till the Associate Professor level. However, any person getting promoted under any speciality would not entitle other persons in other specialities to be promoted similarly, if they are senior in the Civil Medical List to such a person. Similarly, any person in any speciality would not be entitled to get a promotion, based on a junior in the same speciality having got such a promotion in the Director of Medical and Rural Health Services, Director of Medical and Rural Health Services, (ESI) and Director of Public Health and Preventive Medicine side." A close reading of the above clauses would go to show that the G.O. contemplates two categories of seniority concerning the Director of Medical Education Unit ie., (i) General seniority for those Medical Officers with MBBS and Diploma Degree and (ii) Specialist Seniority-Speciality-wise Seniority for those with master degree and or super speciality degree. In that context, the blunt submission of the learned Senior Counsel to the effect that the petitioners, who have acquired speciality specific seniority should be considered on the basis of such seniority for further promotional post of Associate Professor without taking into consideration the original seniority allotted by way of CML ranking, would fall to ground in the light of the G.O. itself which provides necessary guidelines as extracted above. A conjoint reading of clause Nos. (iv) and (vii) would make the position vividly clear that both the general seniority and speciality seniority would be based on their seniority in the CML and further, after getting the seniority in the respective speciality, the future promotions of the persons falling under the latter category would be based on the speciality specific seniority and they would not have further lien for the purpose of promotion. It is further made clear that, at any rate, seniority in the CML would be relevant only for the limited purpose of fixing inter-se seniority relating to those who joined the speciality in the Directorate of Medical Education Side. Moreover, Clause-vii is very specific that once a person joins any speciality under the Directorate of Medical Education, his inter-se seniority in the speciality would depend on the person's seniority in the CML, which would continue to be the criteria to decide the speciality specific seniority till the Associate Professor level. 10. From the above, it could be well discerned that the G.O. is very straight on the point that upto the grade of Associate Professor, while considering the aspect of promotion from Assistant Professor to Associate Professor level, the seniority gained by way of CML Ranking by the candidates, who later acquired speciality specific seniority and serving under the Director of Medical Education, would be definitely taken as the criteria. In other words, when clause Nos. (iv) and (vii) of the Government Order in question are reconciled, the only probable conclusion is that for all purposes of promotion to the post of Associate Professor to which the petitioners are vying, inter-se seniority in the Speciality would undoubtedly depend on the seniority in the CML ranking. That being so, this Court does not find any substance in the claim of the petitioners that the Draft Seniority List drawn, based on CML ranking, is contrary to the norms. 11. As regards the order, dated 09.06.2010, passed in W.P. No.2775 of 2008, taking note of the facts involved therein that promotion was sought for to the post of Professor of Paediatrics and that CML can be looked into only upto the cadre of Civil Surgeon, this Court held that, in such a case, promotion is determined not on the basis of CML ranking but on the seniority in the feeder category. Whereas, in the present case, 'Associate Professor' being a cadre below the top cadre i.e., Professor, the CML ranking cannot be simply brushed aside since the G.O. is very clear on the issue. 12. Coming to the case law of the Hon'ble Apex Court in Challa Jaya Bhaskar's case (cited supra), it was a case on a different issue relating to the methodology adopted by the Andhra Pradesh Government in determining the seniority between teaching and non-teaching posts which previously formed one cadre and the ratio laid down therein is, those belonging to the non-teaching line could not be appointed in the teaching line till they had acquired the PG Course. Moreover, in the said case law, no Government Order providing guidelines to govern the issue, was cited or challenged and considering the facts peculiar to the case, the Hon'ble Court made the observations relevant to that particular case. But, in the present case, the narrow issue that the persons, who have acquired speciality specific seniority, should be exclusively considered under such special ranking by completely ignoring the CML ranking assigned at the time of entry into the service, is something different from the one decided in the above said case law of the Supreme Court; thus, the learned Senior Counsel is not right in endeavouring to apply the ratio laid down therein to the present case which is wholly governed by G.O. Ms. No.349. 13. Moreover, clause (vi) of the Annexure to the letter, dated 31.01.2011, of the second respondent categorically states that all the Medical Officers with minimum of 5 years of teaching experience for MD/MS/MDS or 2 years as Assistant Professor (DM/MCh) in the concerned speciality should attend the counselling and based on vacancy in the concerned speciality, they should take up the vacant Associate Professor Post. It is further provided in clause (x) that the crucial date for calculating the teaching experience will be 15.03.2011. Thus, there may not be any grievance for the petitioners if they possess sufficient teaching experience. 14. To sum up, the core issue raised by the learned Senior Counsel to the effect that the petitioners having acquired speciality specific seniority, such aspect alone should be considered for the purpose of promotion to the higher post of Associate Professor irrespective of the CML ranking gained at the entry level, cannot be legally countenanced since such claim would run contra to the scheme of G.O. No.354. Secondly, the order passed in W.P. No.2775 of 2008 pertains to promotion to the highest post viz., Director and Superintendent equivalent to Professor cadre, for which, the CML ranking cannot be applied, whereas, in the present case, it has to be applied in terms of the G.O. Further, the relevant Government Order was not the subject matter of consideration in the said Writ Petition. Similarly, alike G.O. was not questioned before the Apex Court in Challa Jaya Bahaskar's case and the decision rendered therein is clearly distinguishable on facts as well as on Rules. Further, the apprehension of the petitioners that the norms and guidelines provided in G.O. No.354 may be reviewed, no longer exists in the light of the letter of the 2nd respondent, dated 31.01.2011, in particular clause (vi) and (x) thereof, as adverted to above in the course of this order. 15. For the foregoing reasons, Writ Petition Nos.26180, 26576, 26585 and 27056 of 2010 are dismissed as devoid of any merit. In view of dismissal of those Writ Petitions, there is no need to pass any order or issue direction in W.P. 27217 of 2010 and hence, the same is closed in the light of the observations made above. No costs. Connected Miscellaneous Petitions are closed. Pocket-14, Sector-8, Dwarka Phase-I, New Delhi 110 077.